This collection features a variety of items relating to those buried in the Oliver/Thompson Family Cemetery. 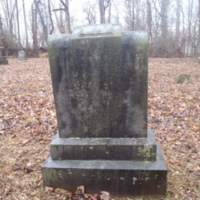 The Oliver/Thompson Family Cemetery is located on Towlston Road in Great Falls, Virginia. 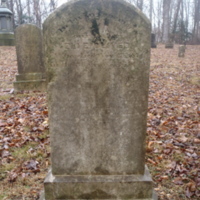 There is a combination of 73 headstones, footstones, and unmarked structures throughout the cemetery. 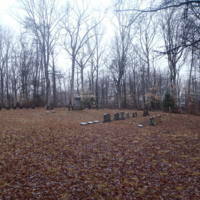 The cemetery and majority of stones are in good shape, and the grounds are still cared for. 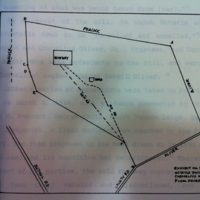 In 1836, James Oliver divided all of his land among his children, requesting that 1/2 acre of his daughter Octavia's land be reserved as a family graveyard. While James Oliver and his sons were all farmers, future generations began to move around and change professions. This was became very common in the 20th century, as an increase in urbanization and the expansion of Washington D.C. took place. 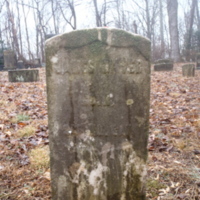 This is the headstone of James Oliver, one of the first settlers to the Great Falls area. 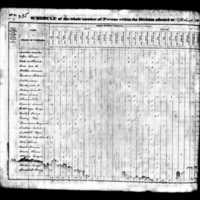 James Oliver split his land among his many children and requested that 1/2 acre of land be set aside to be a family graveyard. 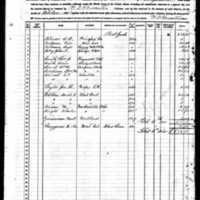 This is an IRS Tax Assessment for "3rd Collection District in the State of Virginia" with Eli Oliver as the first person listed. 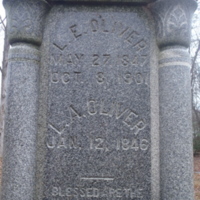 Eli Oliver is the son of James Oliver, original owner of the land. 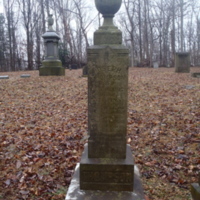 This is the headstone of William Stanton Oliver, son of James Oliver, who died on April 6, 1898. The inscription reads, "HE GIVETH US BELOVED SLEEP." 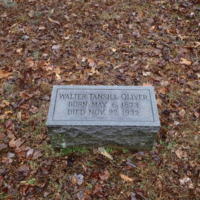 This is the field marker of Walter Tansill Oliver (1873-1932). It is the largest and most prominent structure in the cemetery and is shared with Lewis (1847-1901) and Lucretta Oliver (b. 1846).